It was over 80 years ago, when a coquettish, and somewhat salacious cartoon character slinked onto the silver screen, courtesy of Fleischer Studios, 1600 Broadway, New York. 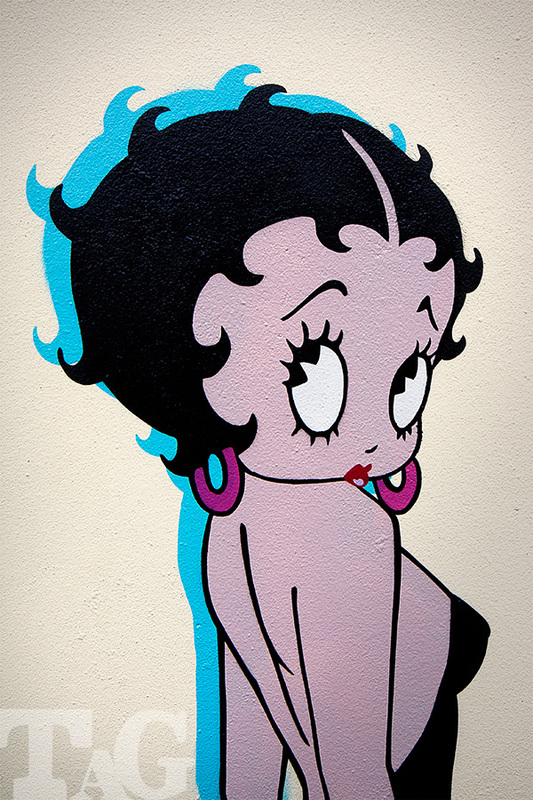 Her name was Betty Boop. Her enduring symbolism - as an independent, autonomous feminine icon - has continued to this day; the power of the caricature suddenly a resurgent token as the 21-st century struggles to find credible role models for society's leaders. 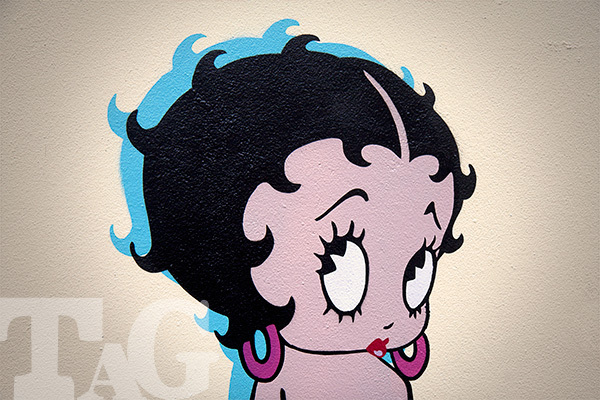 Perhaps it is no coincidence that Betty Boop, a symbol of the Depression era, can communicate such simple, yet effective messaging. 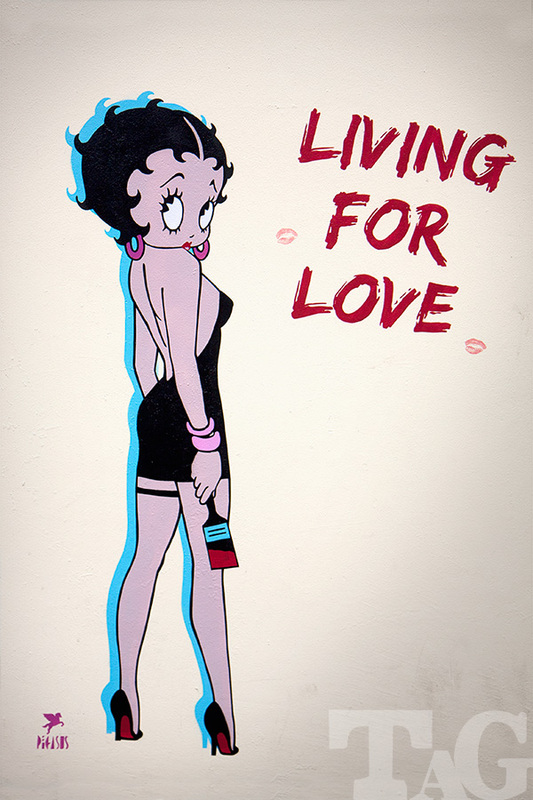 The appropriation of the cartoon and comic figure has evolved, through Pop Art in the 1960s, via the work of Lichenstein and Warhol, into the modern era, with street artists such as Keith Haring, and more recently the likes of Banksy, D*Face, Bambi and a legion of media-mocking urban art practitioners. 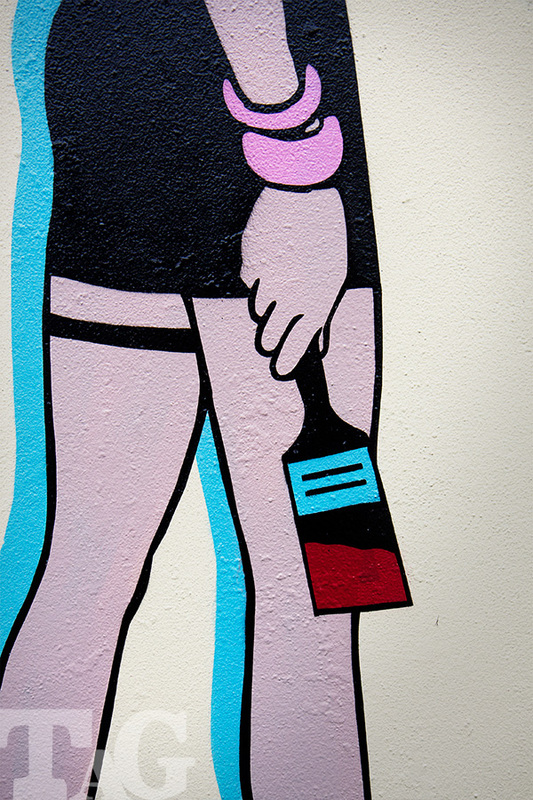 It is no coincidence that a Chicago-born, London-based street artist named Pegasus cites Warhol as an influence. He feeds from the Pennsylvanian's maxim “In the future, everybody will be world famous for fifteen minutes”, manipulating the transient limelight of celebrity through a provocative portfolio of sharp, graphic vignettes, sprayed in cartoon-palette colours across the doors and walls of our city. 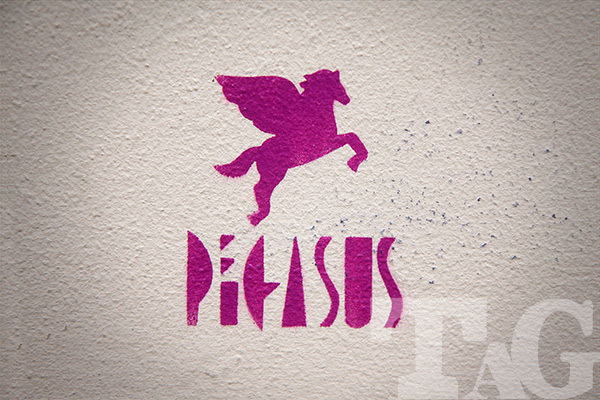 In only a few year's, Pegasus has been likened to a Warhol for the post-modern era - objectifying popular culture - with works spanning Marilyn Monroe, Elvis, Elisabeth Taylor, Audrey Hepburn, Kate Moss, Queen Elizabeth II, Angelina Jolie, and Amy Winehouse. In 2011, it was an artwork commemorating the tragic death of singer Winehouse (Fallen Angel) that acted as a springboard for the American's own rise to fame. Despite the apparent luster of comic-strip parody, Pegasus' subjects are not pure; there is a underlying undertone, a dark side; his chosen subjects nearly all touched by the ill-fated consequences of fame and fortune. His work holds a mirror up to the mythology of the modern era; even the chosen icon of this esoteric artist cleverly manifests a mythical creature - one with its feet on the ground, yet free to escape the material plane, and aspire to greats heights; a symbol of poetic inspiration. 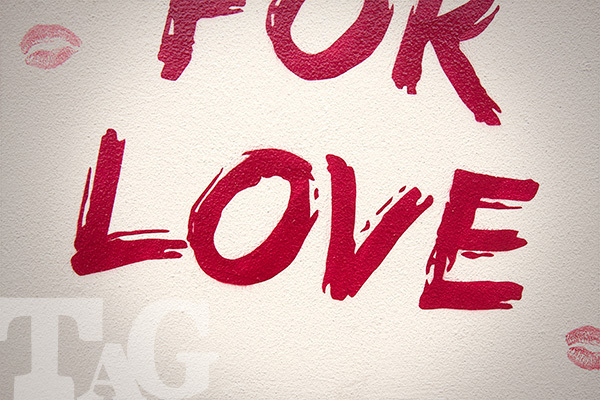 Valentines day, 2015. 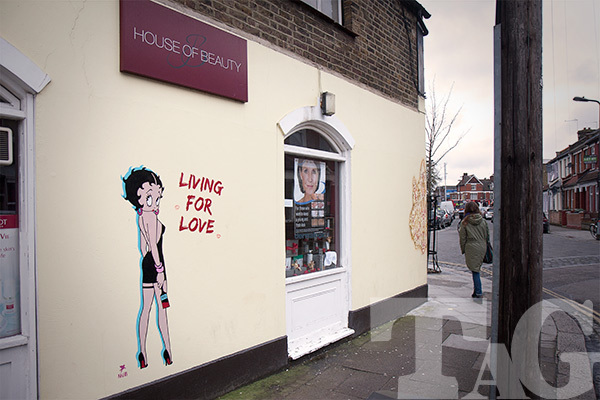 TAG meets Pegasus outside the House of Beauty, N15, and an octogenarian icon speaks of Living for Love. The artist works quickly, and precisely. The end piece a showpiece of savvy spraying, despite the artists suggestion that he is still learning the trade. 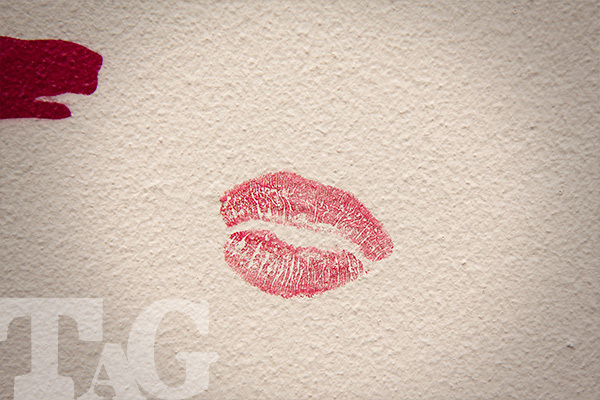 As ever, with any artwork placed within our walls, the locals are more than enthusiastic and grateful. Given the broad range of ages within our community, it is fitting that such a universal message can be delivered by a grand-dame who transcends time, and appeals to all. As Warhol said "Everyone needs a fantasy." 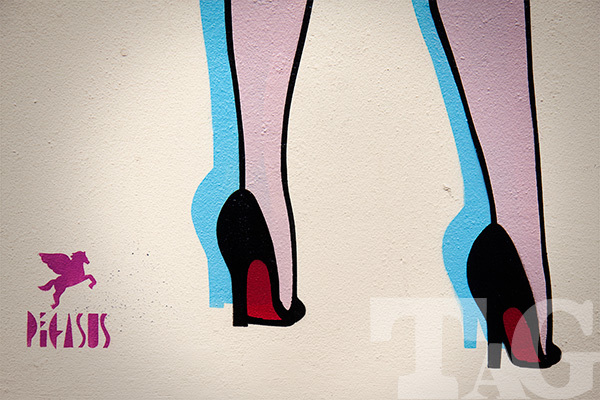 TAG would like to thank Trea Clenaghan, and The House of Beauty for the generous donation of a wall, and cup of tea!